Does colin have 5 arms in the snuggliest? I was thinking it was his speech line, but I guess it is weird that the other panels don’t have one. Do the red ones look like the monster suit from “Where the Wild Things Are” on purpose? Oh wow, excellent timing. Today was pyjama day at my school. I think one is supposed to be the line to his speech…? 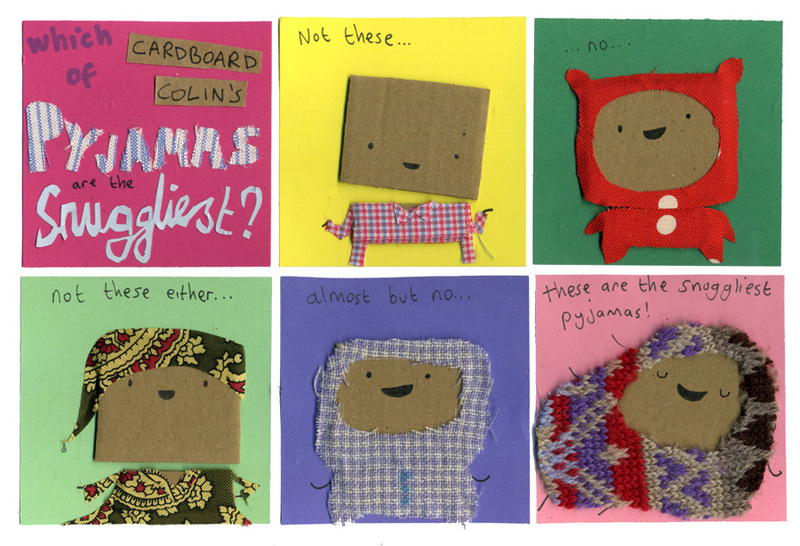 Colin looks so cute in his snuggly pyjammas! I have snuggly pyjammas too….